If any adult is asked what they wanted to become when they were kids, they usually come up with a generic answer that includes the keywords cricketer, teacher or an inanimate object. And it’s perfectly understandable because none of us knows our true calling at that young age. However, one girl has probably found out what she can become professionally. 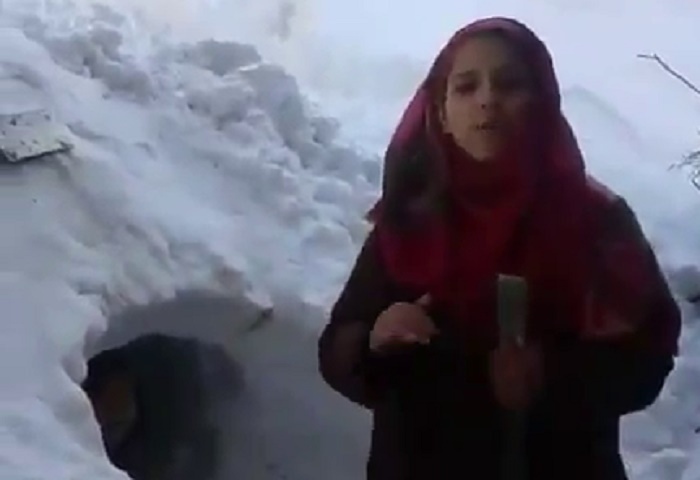 Twitter user @pzfahad recently posted a video of a girl from Shopian, Kashmir, reporting on the heavy snowfall and how the kids over there were dealing with it. The job of a reporter looks easy. But try placing yourself in front of a camera and speaking as fluently as she does. Also, it’s hilarious how uses a wooden scale as a mic and catches the kids red-handed, digging a tunnel to get away from their parents. Netizens are amazed by the spontaneity of this aspiring Kashmiri reporters and are requesting news channels to hire her already. She should be a good appointment. Given the questionable situation of mainstream news reporting nowadays, in my opinion, this girl’s humour and charm will bring back the honesty that the profession needs. What are your thoughts? Let us know in the comments.